There was plenty to choose from in our 16th May 2018 Die Cast, Model Soldiers and Toys auction with 270 lots up for sale. The chilly weather did nothing to put keen buyers off arriving at our viewing rooms to take a look what was on offer. 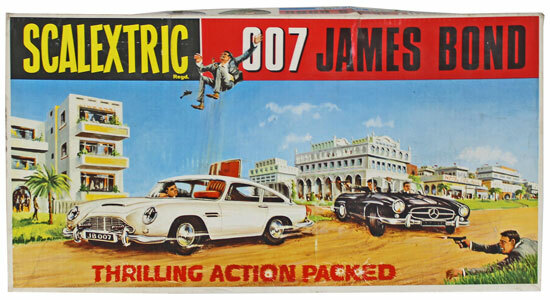 We starting with the named toys section and this Scalextric 007 James Bond set which realised £960. 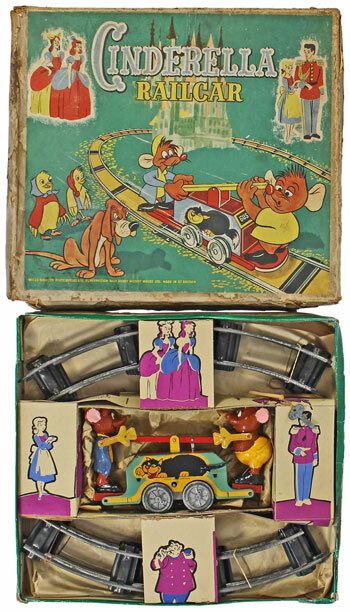 This Wells-Brimtoy O gauge Cinderella Racecar tinplate set sold for £324. 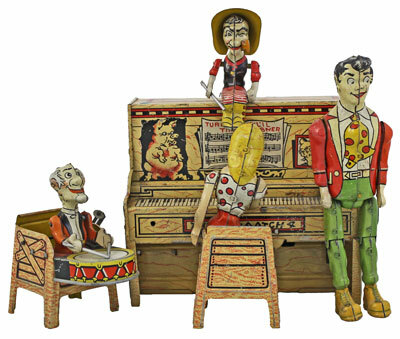 And this Unique Art Manufacturing Company (USA) Li’l Abner and his Dogpatch 4 Band tinplate clockwork novelty item achieved £192. 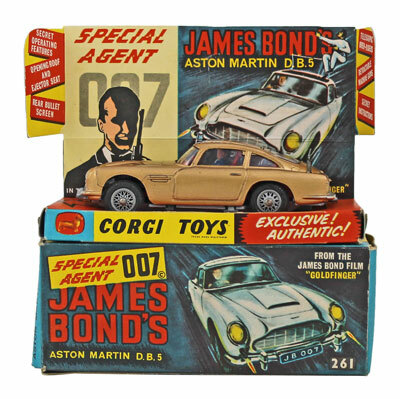 Moving on to the die cast section highlights included this Corgi James Bond Aston Martin DB5 No. 261 realised £144. 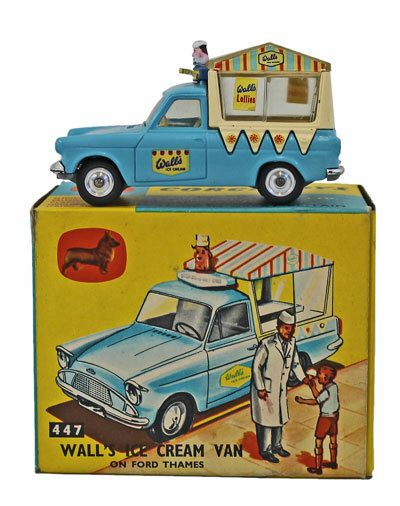 This Corgi ‘Walls Ice Cream’ Van No. 447 sold for £300. 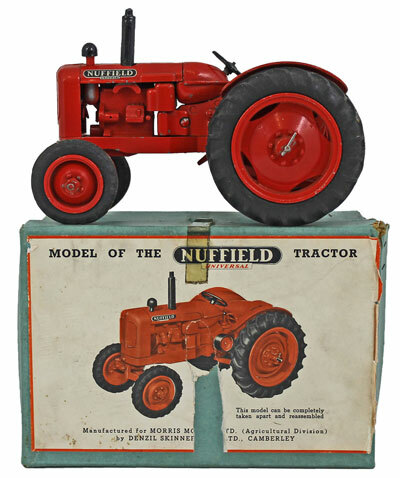 This Denzil Skinner & Co. Nuffield Universal Tractor achieved £372. 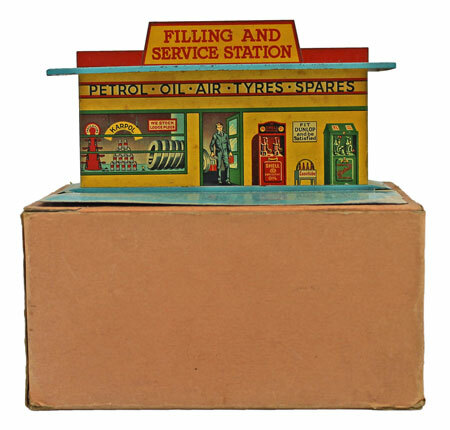 And this Dinky pre-war Petrol Station No. 48 realised £372. Modern models also proved popular in this sale. 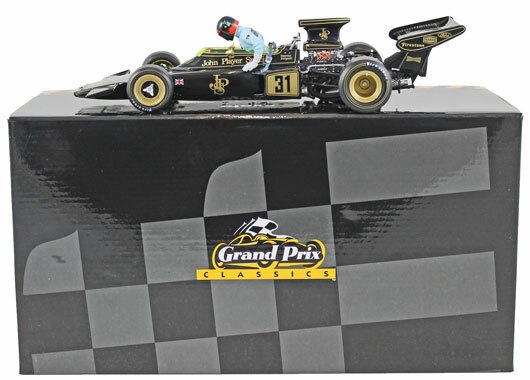 Examples include this Exoto (Grand Prix Classics) 1:18 scale Lotus Ford Type 72D John Player Special sold for £156. 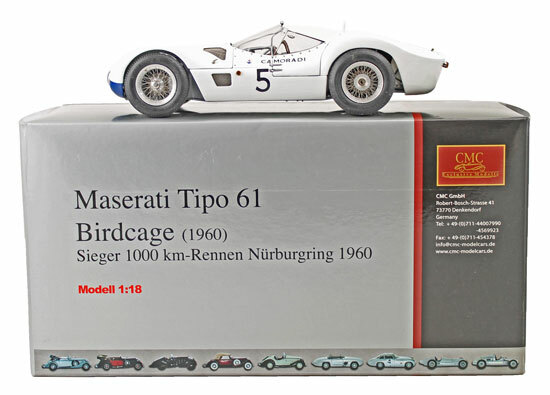 This CMC 1:18 scale 1960 Maserati Tipo 61 Birdcage No. M-047 achieved £132. 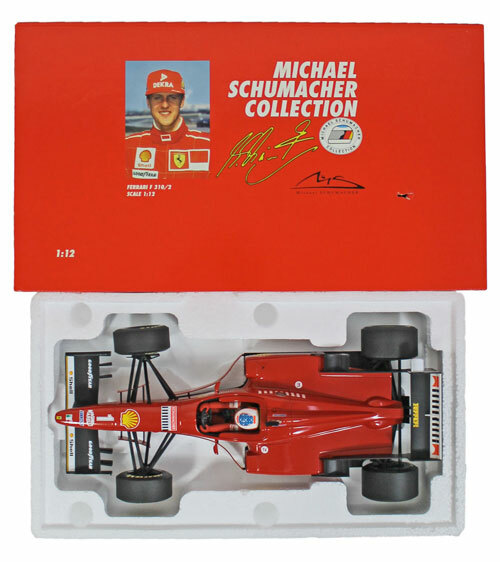 And this Minichamps Michael Schumacher 1:12 scale Ferrari F310/2 1996 Italy GP No. 510 961221 realised £120. Our next die cast, model soldiers and toys auction will be held on Wednesday 18th July 2018. The full catalogue for this sale will be on our website in the next few weeks or keep an eye on our Twitter and Facebook pages which will include updates of our latest auction news.